All prints in our inventory are stocked for immediate shipment. Order via our phone line, fax, or website for fast service. All of our sales people are knowledgeable about our products and can assist you with your selection. Won't rolling damage my prints? Your order is shipped via the fastest and most economical mode of shipment. 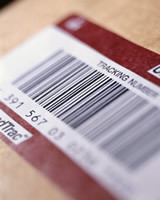 Shipping charges are assessed on a per item basis and will show up at the time of purchase. Your order will usually be shipped within 5 days of receipt. Mail orders paid by check are shipped after five business days of receipt. Delivery time by UPS to most time zones is 3 – 5 days. Your unframed prints are shipped rolled in a heavy duty shipping tube. Most prints are shipped in this way, as it is a safe and efficient way to ship art prints. Your framed 5"x7" prints are shipped in packages that will protect your order from damage that may be caused during delivery. Rolling will not harm or damage your print if it is properly done. You will never receive an improperly rolled print from D'Azi Productions. Once removed from the shipping tube, prints will flatten back out in no time. If you store the print in the tube for a very long period of time no permanent damage will result. Your framer should be experienced in handling and flattening rolled prints. Be very careful when you are re-rolling your prints, after inspecting them, making sure not to crease or dent them. Creases and dents are usually not removable. Orders damaged in shipping will be replaced. Please report all damages within 3 days of receipt of purchase. Product availability and prices are subject to change without notice. Please note that size dimensions are paper measurements, not image measurements.